Change any fees or charges for using the Website’s Services. Change the Website, including removing or discontinuing any Content or features of the Website. Any changes that are made are effective immediately upon posting it online. Be sure to review this Agreement on a regular basic to ensure familiarity with the most current version. You must be at least eighteen (18) years of age and single or separated from your spouse to register as a “Member” or to use the Website and Services. By using the Website, you represent and warrant that you have the right, authority and capacity to comply with this Agreement and to abide by all of the Terms and Conditions of this Agreement. Membership is void where prohibited and against local rules and legislation. When and if, you register to become a Member, you agree to provide accurate, current and complete information about yourself as prompted by our registration form "Profile" and to maintain and update your information to keep it accurate, current and complete. You agree that we may rely on your Profile as accurate, current and complete. You acknowledge that if your Profile is untrue, inaccurate, not current or incomplete in any respect, SecureDating.com reserve the right to terminate this Agreement and your Membership and your use of the Services, without any form of refund of payments of any kind, including already bought site “Credits”. By becoming a Member, you represent and warrant that you are at least (18) years old, which is the minimum required age to become a Member. In addition, the Website cannot and do not guarantee that each Member minimum is the required age, nor do we accept responsibility or liability for any Content, communication and other use or access of the Website by persons under the age of 18 in violation of this Agreement. 3.1 This Agreement will remain in full force and effect while you use the Website and/or are a Member. You may terminate your Membership at any time, for any reason. If you terminate your Membership, no refunds are given and all unused site Credits will NOT be refunded as well. We may terminate your Membership by sending notice to you at the email address you provide in your application for Membership, or such other email address as you may later provide to us. All decisions regarding the termination of Memberships and accounts shall be made in our sole discretion. We are not required to provide any notice prior to terminating your Membership. We are not required, and may be prohibited, from disclosing a reason for the termination of your Membership account. Even after your Membership is terminated, this Agreement will remain in effect. All terms that by their nature may survive termination of this Agreement shall be deemed to survive such termination. 3.2 Your Website Membership is for your sole, personal use. You may not under any circumstances, authorize others to use your Membership, and you may not assign or otherwise transfer your account to any other person or entity. 3.3 IMBRA (International Marriage Broker Regulation Act of 2005). SecureDating.com is compliant with the International Marriage Brokers Regulation Act (IMBRA), which regulates International Marriage Brokers (IMBs). US Federal law forbids IMBs to provide personal contact information of foreign nationals (i.e. by mail or any other service) to US citizens without relevant background check-up of the US citizen. In addition, it is requested that all clients abstain from the exchange of personal contact information. You may not in your online correspondence with any other Members include or communicate any phone numbers, addresses, last names, URLs or email addresses (such information and the like will be erased or stopped and your Membership might be terminated with no refunds possible). You may not in your online Membership profile include or communicate any phone numbers, addresses, last names, URLs or email addresses (such information and the like will be erased or stopped and your Membership might be terminated with no refunds possible). 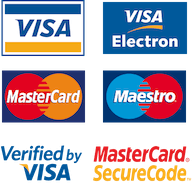 You may not in your online correspondence, your online Membership profile and when using or receiving any of our Services, Including “Phone Service”, "Video Conference", “Meet and Date”, "Live Video Chat", “Gift Delivery”, “Airport Transfer”, "Apartment Rental", ask for values or offer values of any kind. Including, but not limited to, money, jewelry, silver and gold, electronics, automobiles, real estate, bonds and the like (such information and the like will be erased or stopped and your Membership might be terminated with no refunds possible). You may not post on the Website, or transmit, to other Members or employees, any defamatory, inaccurate, abusive, obscene, profane, offensive sexually oriented, threatening, harassing, racially offensive, or illegal material, or any material that infringes or violates another party's rights (including, but not limited to, intellectual property rights, and rights of privacy and publicity) (such information and the like will be erased or stopped and your Membership might be terminated with no refunds possible). You may not, when using or receiving any of our Services, Including “Phone Service”, "Video Conference", “Meet and Date”, "Live Video Chat", “Gift Delivery”, “Airport Transfer”, "Apartment Rental", transmit any material or verbally express any language, to other Members or employees, that are; defamatory, inaccurate, abusive, obscene, profane, offensive sexually oriented, threatening, harassing, racially offensive (such information and the like will be erased or stopped and your Membership might be terminated with no refunds possible). You may not engage in advertising to, or solicitation of, other Members to buy or sell any products or services through our Service. You are solely responsible for the information or the Content (profiles, messages, photos or any other content) you publish or display on the Website, or transmit to other Members. You may not remove any copyright, trademark or other proprietary rights notices contained on the Website. You may not harvest or collect any personal information about other Members whether or not for commercial purposes, without their consent. You may not use any robot, site-spider, search/retrieval application, or other manual or automatic device or process to retrieve, index, "data mine", or in any way reproduce or circumvent the navigational structure or presentation of the Website or its Contents. You may not express or imply that any statements you make are endorsed by SecureDating.com, without our specific prior written consent. You may use the Services in a manner consistent with any and all applicable laws and regulations. SecureDating.com reserves the right, but has no obligation, to reject any profile or photograph or image that does not comply with these prohibitions. The Website is for individual Members only and thus personal, and may not be used in connection with any commercial endeavours. Illegal and/or unauthorized uses of the Website, including unauthorized framing of, or linking to the Website, will be investigated, and appropriate legal action will be taken including civil, criminal, and injunctive redress. You are responsible for maintaining the confidentiality of the username and password that you designate during the Registration process, and you are fully responsible for all activities that occur under your username and password. You agree to (a) immediately notify us of any unauthorized use of your username or password or any other breach of security, and (b) ensure that you exit “Log Out” from your account at the end of each session. We will not be liable for any loss or damage arising from your failure to comply with this provision. You should use particular caution when accessing your account from a public or shared computer so that others are not able to view or record your password or other personal information. 6.0 Proprietary Rights of Contents. SecureDating.com owns and retains all proprietary rights in addition to the Website. 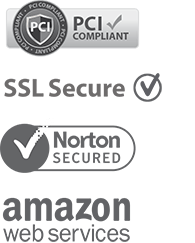 The Services and the Website contain the copyrighted material, software, trademarks and other proprietary information and intellectual property of SecureDating.com and its licensors. In addition, Members may not post copyrighted information, which has copyright protection whether or not it is identified as copyrighted. Except for that information which is in the public domain or for which you have been given permission, you may not copy, distribute, modify, publish, transmit, display, perform or sell any such proprietary information. Your purchase of Credits is under any circumstances non-refundable in terms of cash paybacks. All refunds are paid in Credits and will be credited to your Credits account. All Credits are valid for 24 months (2 years) after any last purchase of Credits. Credits are strictly personal and cannot be transferred to any 3rd party or entity. Under “Terms and How” of each of our site Services you’ll find the Service’s specific Credits refund policy. Credits spent on Correspondence are non-refundable upon sending/opening a letter to/from a lady. Credits spent on unlocking Private Pictures and Profile Videos are non-refundable, when first unlocked. Credits spent on Live Video Chat are non-refundable. SecureDating.com undertakes to comply with the Refund terms described and located under each specific available Service on the Website. See (“Terms and How“) under each Service. You agree that you are solely responsible for your interactions with other Members on SecureDating.com, both online and offline. SecureDating.com reserves the right, but has no obligation, to monitor disputes between you and other Members. SecureDating.com is not responsible for any incorrect or inaccurate Content, (with the exception and strictly limited to, that the female Profile represent a real live person as displayed upon registration), posted on the Website or in connection with the Services, whether caused by users of the Website, Members or by any of the programming or equipment associated with or utilized in the Services. SecureDating.com is not responsible for any problems or technical malfunction of any telephone network or lines, computer online systems, computer equipment, software, servers or providers, failure of email or players on account of technical problems or traffic congestion on the Internet or at any Website or combination thereof, including damage or injury to users and/or Members, or to any other person's computer related to or resulting from participating or downloading materials in connection with the Website and/or in connection with the Services. SecureDating.com is not responsible for the conduct, whether online or offline, of any Member of the Website or user of the Services. SecureDating.com assumes no responsibility for any error, omission, interruption, delay, deletion, defect in operation or transmission, communications line failure, theft or destruction or unauthorized access to, or alteration of user’s or Member’s communications. Under no circumstance will SecureDating.com be liable for any damages whatsoever, whether direct, indirect, general, special, compensatory, consequential, and/or incidental, arising out of or relating to the conduct of you or anyone else in connection with the use of the Services, including without limitation, personal injury or death, emotional distress, and/or any other damages resulting from communications or meetings with other registered users of this Service or persons you meet through this Service. You agree to take reasonable precautions in all interactions with other Members of the Service, particularly if you decide to meet offline and/or in person. You understand that SecureDating.com make no guarantees, either express or implied, regarding your ultimate compatibility with individuals you meet through the Service. To provide the Service SecureDating.com purchases services from various Russian, Moldavian, Belarusian and Ukrainian agencies, ”Suppliers”. The Suppliers providing Services for SecureDating.com are independent contractors and are not agents, or employees of SecureDating.com. SecureDating.com is not responsible for the wilful, or negligent acts and/or omissions of any Supplier or any of it's respective employees, agents, servants or representatives including, without limitation, their failure to deliver services, or their partial or inadequate delivery of services. “Hotel and Flights/Expedia.com” and “Travel Insurance/WorldNomads.com” are provided by third part and as independent agents directly and thus, SecureDating.com is not responsible for the wilful, or negligent acts and/or omissions of any such agent or any of it's respective employees, agents, servants or representatives including, without limitation, their failure to deliver services, or their partial or inadequate delivery of services, either online or offline. The Website and the Service are provided "AS-IS" and SecureDating.com expressly disclaims any warranty of fitness for a particular purpose or non-infringement. SecureDating.com cannot guarantee and does not promise any specific results from use of the Website and/or the Services. Under no circumstance will SecureDating.com be liable and/or responsible for information and/or advertising about/for the Website brought to you by any kind of Media be it Print, Radio, TV, Online or in the Public Associated Press. Under no circumstances will SecureDating.com be liable to you or any third person or party for any incidental, consequential or indirect damages, including, but not limited to, damages for loss of data, loss of programs, cost of procurement of substitute services or services interruptions, arising out of the use of or inability to use the Services or the Website, even if SecureDating.com or its agents or representatives know or has been advised of the possibility of such damages. In cases where certain jurisdictions limit the applicability of above limitation on liability, they do not apply to you. Notwithstanding any contrary provision herein but subject to the foregoing limitation on liability, in all events the liability of SecureDating.com to you for any cause whatsoever, and regardless of the form of the action, will at all times be limited to the amount paid by you, if any, to SecureDating.com for the Services during the term of your Membership. In the event that you have any claim or action against any other Member arising from that member's use of our Website and/or the Services, you agree to pursue such claim or action independently of and without any demands from SecureDating.com, and you release SecureDating.com from all claims, liability and damages, arising from or in any way connected to the claim or action. In the event that a claim or action is brought against SecureDating.com from your activities or use of the Website or the Services, including any breach by you of this Agreement or any charges or complaints made by other parties against you, you agree to pay, hold harmless and defend SecureDating.com in the claim or action. You also agree to cooperate as fully as reasonably required in the defence of any claim and allow SecureDating.com to assume the exclusive defence and control of the matter. If there is any dispute about or involving the Website and/or the Services, by using the Website, you agree that the laws of Ukraine without regard to its conflict of law provisions will govern the dispute. You agree to personal jurisdiction by and venue in the court and jurisdiction of Sofia, Bulgaria. 15.0 Support, Contact and Management. SecureDating.com is always there to help. If you have any questions regarding any of our services please use our Support Centre after you have logged in as a member. If you need to contact us for business matters or general questions before you become a member you can find our phone numbers and general contact informational at the bottom of the Webpage. SecureDating.com is marketed and managed by Secure Dating International Ltd. 39 Totleben Blvd., fl. 1, apt. 2, 1606, Sofia, Bulgaria. This Agreement, accepted upon use of the Website and further affirmed by becoming a Member, contains the entire agreement between you and SecureDating.com regarding the use of the Website and/or the Services. If any provision of this Agreement is held invalid, the remainder of this Agreement shall continue in full force and effect. If you have a complaint about the Website of any kind please contact our Support Centre and we will do our best to accommodate your needs.